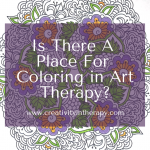 If you use art in therapy, you have probably heard this worry from your clients. 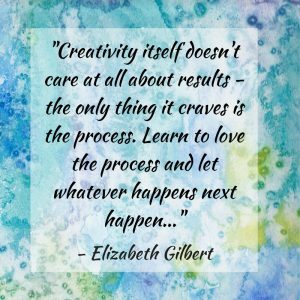 They may be hesitant to try art, express that they are “not an artist,” say that they are “no good at art,” or get frustrated with the resulting art piece. 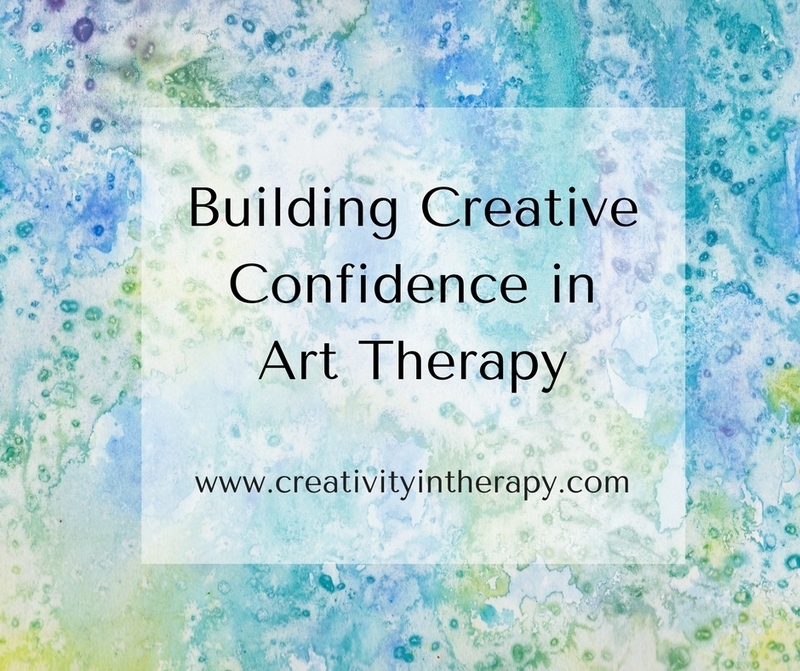 Insecurity and lack of confidence around art-making are common concerns that creative therapists need to be prepared to respond to. Art therapists believe that the process is most important, not the quality of the final product. But sometimes it is hard to help our clients believe this. 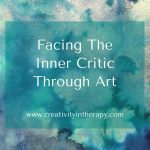 Even as an art therapist myself, I still struggle at times with insecurity, self-criticism, and lack of confidence in my own artwork, so it’s no surprise that clients feel this way too. I recently participated as a speaker in a telesummit that was all about the topic of how to build confidence through creativity. As I have listened to the other speakers over the last few days – many of whom are professional artists, not therapists – I was thinking a lot about how I address this issue in my therapy practice and what the speakers were sharing that I agreed with (or didn’t). An important thing to keep in mind is that part of the value of art in therapy is how the experience parallels other parts of the client’s life. When insecurity, judgments, and negative self-talk show up in the art process, it is valuable to explore how these show up in other situations for the client. As they begin to practice a new way of responding to these thoughts and shifting their mindset to one of self-acceptance and greater confidence in the creative process, we can help them to transfer this outside the therapy room. 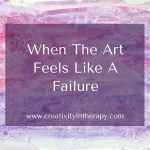 So, what can we do to help clients engage in art in therapy when they lack confidence? 1. 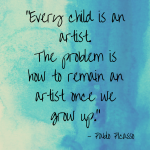 Reframe art-making as play and embrace messiness. Sometimes the art process can be more about fun and play than about creating anything in particular. We can encourage clients to not worry about creating a masterpiece, just focus on what feels fun and enjoyable. Think about the way that children make art – they just create for the fun of it, without any worry about the final product. Consider process focused art activities that tap into the kinesthetic-sensory continuum. 2. Try changing the art media. Some art media are going to feel more safe than others. Some art materials are difficult to work with or trigger within the client a certain expectation for themselves. I love to offer collage as one of the first art therapy activities with my clients, especially when they do not consider themselves to be good at art. Stamps and stencils can provide another type of bridge for clients to try making art and being creative when they lack confidence. 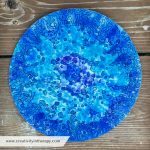 On the opposite end of the media spectrum, some clients feel more free when they have a fluid media like soft clay or finger paints. While a pencil may trigger an inner expectation to draw something perfectly, finger paint may remove any of those expectations because it is so difficult to control. 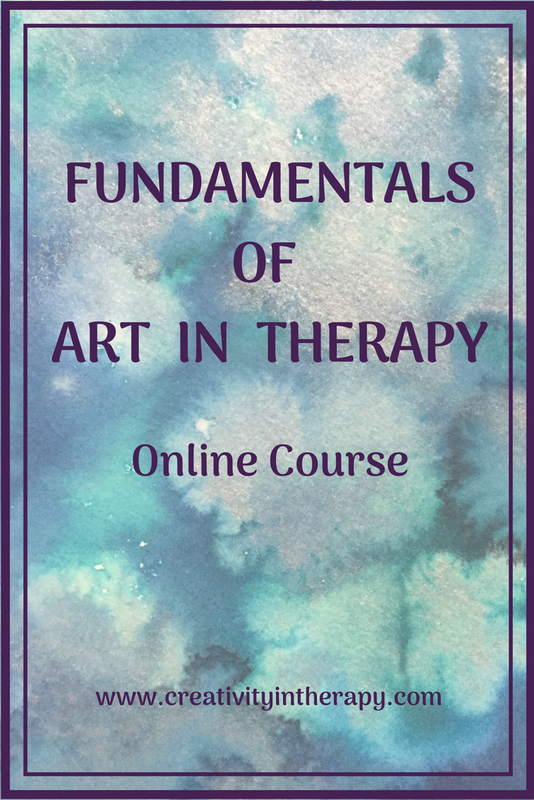 Remember that while there are general things to consider when suggesting media in art therapy, there is no specific formula – this is often about responding to the uniqueness of each individual client. 3. Teach techniques to help build competence. 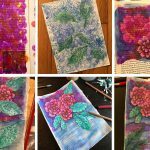 Although art in therapy is definitely different than art class or art education, there are times that it can be helpful to teach clients art techniques that can help them feel more successful in the art process. Learning a new art skill not only helps them feel better about the art, it can also be a reinforcement of their ability to learn and execute something new. It’s a great life lesson to remember that we can go from thinking something is unattainable/impossible to being able to do it if we are able to ask for help, break down the steps, and practice the technique. 4. Focus on creativity for self-expression. Our society tends to teach us from a young age that only certain people are “artists” and that only those people really deserve attention and time for their artmaking. All of us have the capacity to be creative and to use that creativity to express ourselves. We also may need to remind clients that part of authentic self-expression is recognizing that not everything we need to explore and communication is going to be “beautiful.” Using art to express how you are truly feeling and what you are struggling with can be much more powerful than trying to create “good” art. 5. Dialogue with the inner critic and practice radical acceptance. We can help clients to be more aware of their “inner critic” – the inner monologue that leads to insecurity, judgment, and criticism. This inner critic is a voice that most of us struggle with at times (I know I certainly do), but we can choose not to listen to it. For clients are really bothered by their inner critic, try exploring this by having them create an image of what that part of themselves looks like and then having a written or verbal dialogue with the critic. Teach them to talk back to or ignore the voice of the inner critic when necessary. Introduce the idea of “radical acceptance” or a nonjudgmental mindset instead. Have them practice this mindset as they engage in the art, observing and accepting whatever happens in the process without criticism or judgment. Spend some time exploring where the client’s belief came from that they are not a good artist or cannot be creative. Is this a message that they picked up in school or from their family? Have they had experiences of their art being compared to others who are “better” at art than they are? Do they feel that something is only worth doing if it can be perfect? What has been their history and past experiences with creativity or artmaking? When we can figure out the source of a belief, we can sometimes realize that it is not an absolute truth, it is simply an opinion of some. We can decide that this is an outdated belief that we no longer want to live by. Sometimes a small piece of art can feel a lot more accessible to do than a large piece. 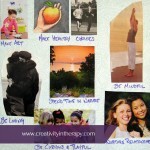 When clients are feeling hesitant or insecure, we can encourage them to just do something small. That could mean a small task, like just scribble on the page or make a single mark. Or it could literally mean a small piece of paper. Inchies, index cards, or small circles can be great starting points for art and feel more safe than a large sheet of paper. As the client is successful in overcoming their insecurity in small ways, they can build more confidence and start to work bigger. A lot of anxiety can result from blank sheet or paper or an invitation to engage in non-directive art therapy. Although that can be a valuable process to work through, some clients need more structure and guidance. One way of providing that structure is through giving a clear directive to respond to or a suggestion of the art medium. Another way is to provide some actual structure on the page. For example, when I have clients create a mandala in group therapy, one of the options is to start with a page that already has 4 concentric circles. This structure makes a potentially anxiety producing art activity a lot more accessible for someone who lacks artistic confidence. The Tree of Strength activity is another example of a structured art therapy exercise with clear, manageable steps. 9. Hold space for all the feelings. There is sometimes a temptation to reassure our clients that their art is good. However, we often need to be able to let a client express their disappointment and frustration with the art. As therapists we create a space for all emotions to be noticed and felt; it is not our job to just reassure clients and try to make the uncomfortable feelings go away. Whatever emotions come up in the art process are valid for that client and can be accepted and explored. Many people have a certain idea of what they consider art to be. 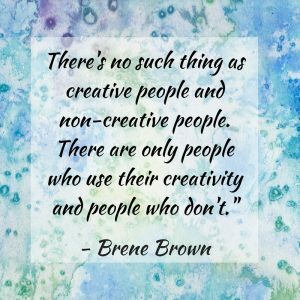 They may confuse creativity with technical skills or compare their work to that of classically trained artists or some of the masters of realism or impressionism. But we know that art can be so much more than that. Help clients to explore the broad spectrum of artistic expression that exists in the world through books, online galleries, or an assignment to visit an art museum. Art can be about creating a beautiful representation of something that you see, but it can also be about exploring the process, simplifying a concept, evoking a feeling, or communicating a message. What are your thoughts? How do you work on your own confidence in art-making or respond to this insecurity with therapy clients? Share your thoughts below.